The vision of IMEM is that HIV/AIDS prevention and care will become a shared responsibility of families, communities, and government. Northern Thailand is home to over half a million ethnic minority people, people who have distinct languages and cultures that often keep them from being fully integrated into the Thai society in which they live. 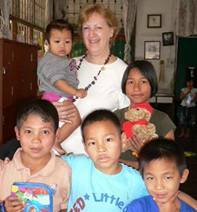 In 1991, missionary nurse Kim Brown was working in a hospital in Mae Sariang. She observed that while the Thai government had done an excellent job of disseminating AIDS information, it was apparent that the ethnic minorities were not able to understand the materials that were being presented. There was also a lack of concern about the disease, typified by one person from an ethnic minority who said, “AIDS is a Thai disease - I never see a tribal person in any of the pictures that tell about AIDS. 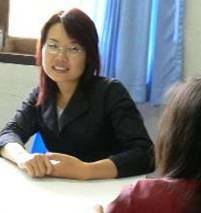 Tribal people cannot get it.” Because nurse Kim Brown was aware of practices that would put the ethnic minority group at an increased risk to AIDS, together with another nurse from Mae Sariang, Amnuaypron Jirakun, she spearheaded an AIDS education program specifically for ethnic minorities that would be culturally and linguistically relevant. The Thai government recognizes at least nine groups of ethnic minorities (chao khao, literally “mountain people”) in Thailand: Karen, Hmong, Mien, Lahu, Lawa, Khamu, Akha, T’in and Lisu. Since 1991, the Health Project has worked with and produced materials for the Akha, Hmong, Lawa, Lahu, Lisu, and two groups within the Karen ethnic minority group, the Pwo Karen and Sgaw Karen. Currently, there are Ahka, Karen, Lahu, and Lisu health teams at the Health Project. 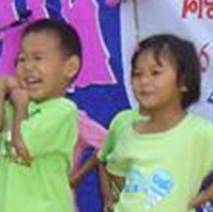 Illiteracy can mean many are not able to understand Thai educational materials on AIDS. Decreased farm land due to increased reforestation means some villages cannot produce enough rice to feed their families, and families must go to cities to do construction work, or send daughters to work in the entertainment industry. Drug use and needle sharing are common practices. Extensive body tattooing and infant ear-piercing are practiced without proper attention to sterilization. "Barefoot doctors", quacks who visit remote villages giving shots of sugar water as a cure-all, are popular with the ethnic minority people. Often, the same needle and syringe are used for each unsuspecting patient. As more students from the minority groups come into the cities for education, they often adopt more promiscuous sexual practices. Within tribal villages, it is the men who share news and the women frequently have less understanding of information. Husbands sometimes visit prostitutes in the city, thereby establishing a means for HIV to be transmitted to their wives and children, yet the women are ignorant of how AIDS can affect them.